The crochet cabling adds dimension to the cozy that provides additional padding as compared to a flat crocheted or knitted cozy. 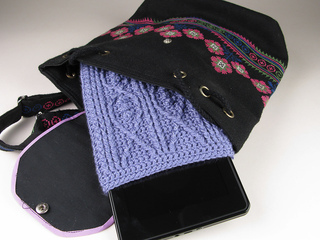 Very snug fit, it will not slide off of your Kindle Fire but stay snugly put until you are ready to use it. 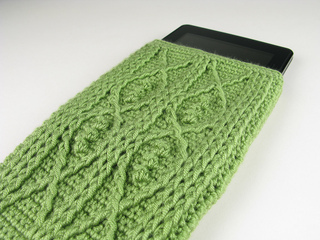 You can make one of these in just a day, so it makes the perfect gift to yourself or a friend who just got their new Kindle Fire! You will receive a 4 page PDF pattern. 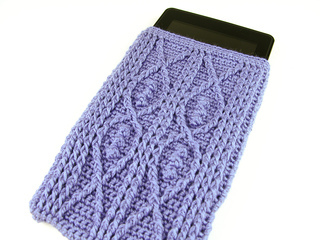 Uses basic and intermediate crochet stitches. 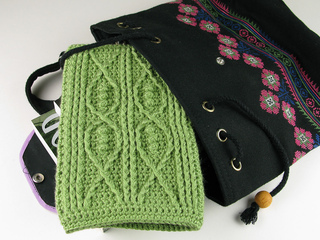 You will want to be familiar with crochet cable stitches, the front-post double crochet stitch in particular. This is my original pattern and by purchasing this pattern you understand and acknowledge that this pattern is for your personal use only and may not be copied or sent to others. Any commercial use including selling this pattern and/or drafts and items made from this pattern is strictly prohibited. All sales on patterns are final - no refunds.